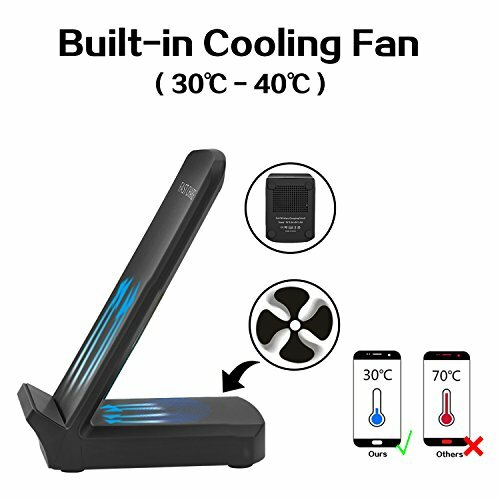 【Built-in Cooling Fan】Rodzon Fast Wireless Charging Stand has a built-in cooling fan, which is designed for cooling the phones when charging. With new intelligent temperature control chip in the charger, it can effectively lower down the charging temperature. 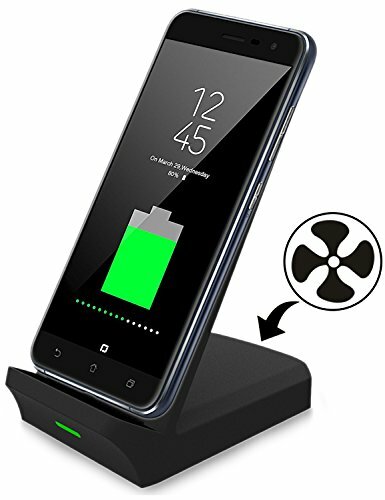 Increase the charging speed and Keep your phone and wireless charge safe! Low noise and High Speed! 【Fast Charge & Normal Charge】Two charging modes for different phones. Fast charging mode is ONLY compatible with Samsung Galaxy Note 5, S6 Edge Plus, S7, S7 Edge, Note 7, S8, S8 Plus and Note 8. 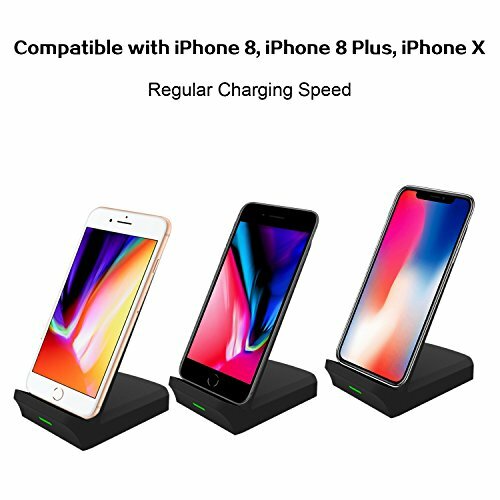 Other Qi-enabled devicesand iPhone X, iPhone 8, iPhone 8 Plus can only be charged at a normal speed. 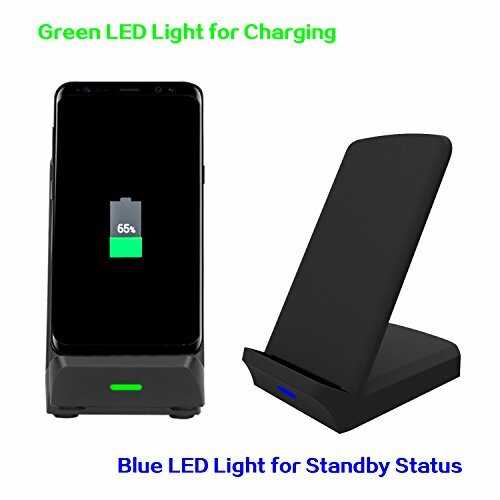 【2 Coils & Holder Stand Design】Built-in 2 coils inductive source offers much wider charging area for free alignment and unlimited wireless charging experience. 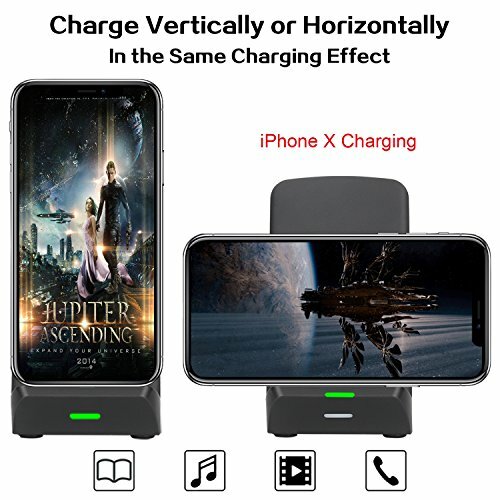 You can charge your phone vertically or horizontally, so you can enjoy movies and music, making calls or sending messages without interrupting while charging. 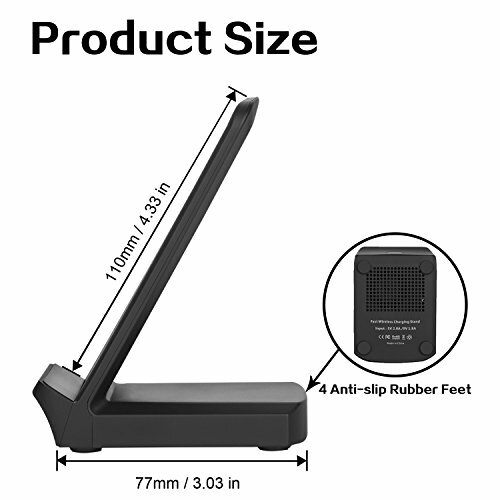 4 anti-slip rubber feet at the bottom ensure stability while charging. Meet the needs for different desktop. 【Intelligient LED Indicator】Blue light for standby status (when it connect to the power). Green light for charging status. LED indicator will automatically shut off when phone is unconnected/ fully-charged. 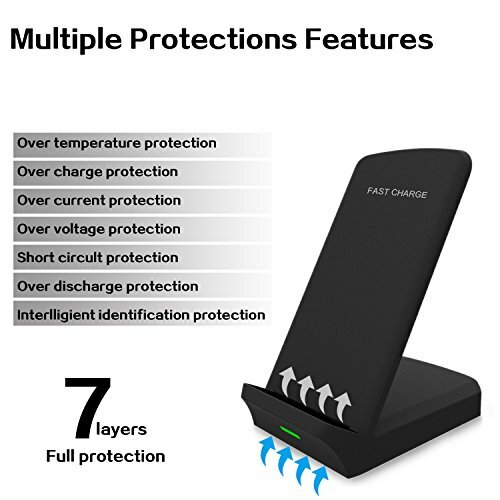 【7 Layers Protection】Multiple protection features make sure excellent charging experience. Over charge/temperature/current/voltage/discharge protection, Short circult protection, Interlligient identification protection. Once full charge, the charger turns off and a dim Blue-green light indicates fully charged. The phone will be charged again once the battery drop from 100% to 99%, making sure a fully-charged phone in the morning for you to go.